Get access to the best car rental deals by completing our search form! Visit “French Manchester” with car rental Mulhouse! Car rental Mulhouse makes it easy for you to save money! Comparing prices of the leading car rental companies we find the best car rental deals for you! Regardless of the purpose of visiting Mulhouse we offer you wide range of car hire vehicles, so that you can deal with your plans in Mulhouse quickly and without fuss. Let us help you to make your trip to Mulhouse a memorable event! Decide on the most suitable Mulhouse car rental location and don’t forget to look through Must Know and Places to Visit with car rental Mulhouse! Mulhouse is inevitable point, to which tourists get when they travel in Europe. Located conveniently close to the borders of neighboring Switzerland and Germany, Mulhouse is thus a necessary transitional link that unites these countries in the ethnic and cultural sense. Without Mulhouse, and the whole Alsace, it would be unclear how the stolid Germans and even-tempered pedantic Swiss in a few tens of kilometers from the border turn into lively French, known around the world for its ebullient temperament. 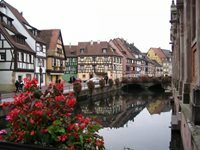 This industrial capital of Alsace is a must visit for every tourist. Only here you will be able to see Europe's largest automobile museum, the Museum of a fascinating collection of wallpaper and see dozens of the best art museums in France. Be ready to drive on the right hand side of the road. Always carry your driving licence, vehicle registration document, and certificate of motor insurance. The sequence of French traffic lights is red, green, amber (yellow) and back to red. Amber means stop at the stop line. 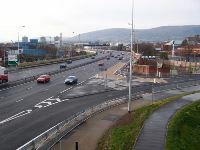 Speed limits are reduced in rain, when the second limit shown above applies. When visibility is less than 50m, e.g. in fog or heavy rain, speed limits are automatically reduced to 50kph on all roads. 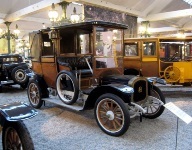 Get car rental Mulhouse to visit this amazing museum, which is no doubt one of the best automobile museums in the world. Its collection consists of more than five hundred rarest cars ever. "Ferrari", "Porsche", "Mercedes", "Bugatti", "Renault" - 98 car brands in all, among which there are totally unique pieces made ​​to order of the royals, actors and other celebrities. Until the early 80's of the last century, the collection was in private hands of Shlyumpf brothers and was available for viewing only to a narrow circle of elite connoisseurs. Later these rare cars have become a national treasure of France and owing to them this wonderful museum has been opened. French Railway Museum is located near the automobile museum, so you can get into your car rental vehicle and come here very quickly. Its exposure is not less valuable and interesting. The main subject, that invariably attracts visitors here is the legendary "Orient-Express" - a train, the track of which ran through the whole Europe from Paris to Istanbul. It was running on rails for nearly century, more precisely, from 1883 to 1979. 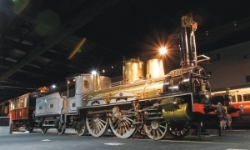 Besides the famous express train, the museum presents special coach of General de Gaulle and the carriage of Napoleon III, as well as a various models of locomotives and station equipment. RentalCars24h.com offers you reliable car rental Mulhouse services that will help you to feel free and independent when moving around the town. Providing best online prices for car hire Mulhouse services, RentalCars24h.com allows you to save money each time when you rent a car in Mulhouse.